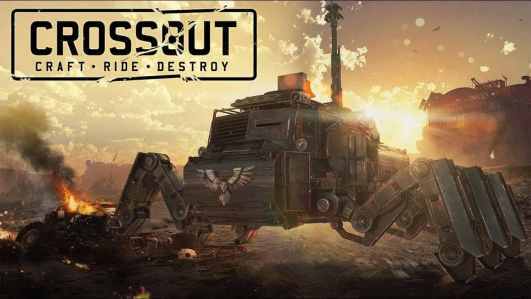 Join CROSSOUT, the post-apocalyptic MMO Action game! Craft your unique battle machines from a myriad of interchangeable parts, ride them directly into combat and destroy your enemies in explosive PvP online battles! Unique vehicles, crafted by players using a wide range of available parts: from nimble buggies to heavily tracked off-road vehicles or combat platforms on antigrav fields. 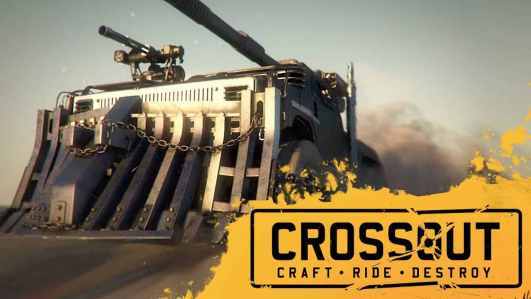 Complete freedom of creativity and thousands of possible combinations: Create vehicles of any shape using a wide range of parts, with a wide variety of armour and weapons to help support your arsenal. Advanced damage model: destroy any part of an enemy vehicle and it will affect the machine's performance immediately. A huge arsenal of weapons: From chainsaws to power-drills, machine guns to rocket launchers, and a wide range of variety including flying drones and stealth generators. Your own workshop: create new and advanced parts, and auction them at the in-game marketplace. Trading options between players: every piece that you have gathered in battle can be sold to other players. Choose your own battle strategy: Apart from victory, the only thing that matters is your Survival! Besides PvP combat, join PvE missions where you can fight against AI driven enemies. With enough experience, you are also able to design and construct your own giant full metal monsters, Leviathans, to fight with other players in special PvE battles. While you are getting experience from battles, you will also improve your standing with your faction, unlocking new parts, accessing new blueprints, missions and storage space. Choose the one to join!